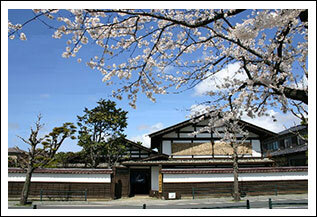 Sakata is an ancient town situated at the mouth of the mighty Mogami River in Yamagata Prefecture. Thanks to its location, Sakata became a thriving commercial hub in the Edo period, transporting rice, sake and benibana (a flower used to dye kimonos and make lipstick red) to the Kansai region while bringing back boatloads of exquisitely hand-crafted goods made in Kyoto. This trade made the merchants of Sakata fabulously rich. 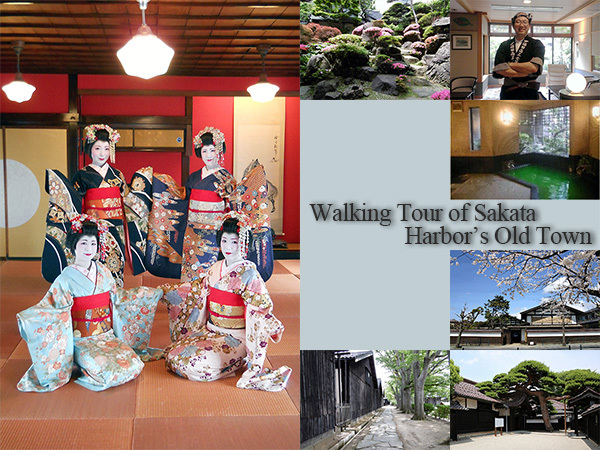 This guided tour of the historical Sakata Harbor area will give you an intimate look at the homes of these rich merchants, the temples they patronized, and the Kyoto-inspired dancing girls (Maiko) who enlivened their evenings. 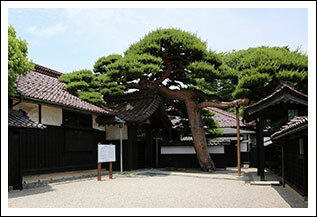 A high-class Japanese-style night club where Sakata’s rich merchants used to wine, dine and entertained their guests. Here you will watch Maiko dancers perform in traditional dress. Afterwards, you can have your picture taken with the Maiko dancers using your own camera! 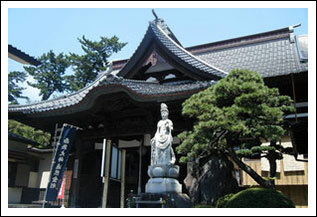 According to legend, the Shingon patriarch Kōbō Daishi (aka Kūkai) founded Kaikōji Temple 1,200 years ago. During the Edo period Kaikōji became a must-see spot for pilgrims visiting Mount Yudono. Even now Kaikōji Temple continues to perform ritual ceremonies venerating Mount Yudono and enshrines the mummified corpses of two Yudono ascetics. It was once said that “If you try hard you may succeed in becoming a feudal lord, but becoming a Honma is impossible”. The biggest of Sakata’s rich merchant families, the Honma family served as banker to both the Edo government and numerous feudal lords (daimyo). 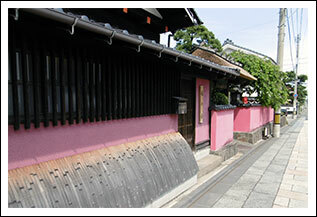 We will tour the Honma family’s beautifully preserved original family home. 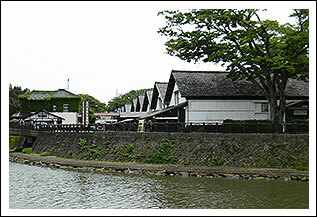 Abumiya was the largest rice merchant of late feudal Japan. The Abumiya mansion is a beautiful example of the “machiya” building style popular in Kyoto, Japan’s cultural capital, with which the Sakata merchants did a lively trade. Sakata’s best-known landmark, a visit to the picturesque Sankyo Warehouse complex will transport you back the age when big bundles of Yamagata rice were transported up and down the Japan Sea coast on wooden sailing ships. The row of 150-year old zelkova trees behind the warehouse is perhaps Sakata’s most beautiful sight! 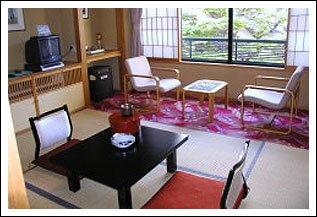 Wakaba Ryokan is a traditional family-operated Japanese inn situated in the heard of Sakata’s old city. The inn features wonderful seafood bought fresh every morning from the harbor nearby. The inn’s Young Master, who speaks impeccable English, will be your tour guide, ready to fulfill your every wish.